The women behind JeNu know that looking youthful and feeling beautiful has the power to transform women’s lives. JeNu’s lead beauty innovator, Colette Courtion, has worked in the clinical aesthetic industry for nearly a decade and has overseen more than 250,000 skincare treatments, which has given her personal insight into what women really need and want. When she was fi rst introduced to the JeNu technology, she immediately knew the scientists behind JeNu were onto something special. Even in its fi rst stage of development, JeNu’s clinical results proved that combining powerful ultrasound wave technology with specially formulated creams rejuvenated skin far better than cream alone—a skincare first. Knowing JeNu was an exciting breakthrough in skincare technology, Colette went directly to the source—women who would use and buy this system—to help develop every detail of it. 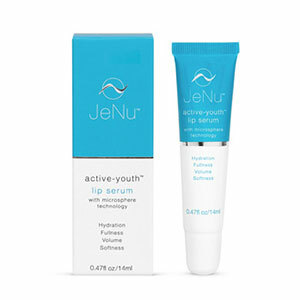 The result is the JeNu Active-Youth Skincare System, a scientifi cally proven way to achieve younger-looking skin in just minutes a day, designed by women for women.